Did you know 40% of all active shooter events happen in business locations? And retail stores are one of them? I don’t want to have to think about terrorist attacks, active shooter events, or armed shoplifters while I’m out shopping—and luckily, I don’t have to, because of people like Chad McIntosh. McIntosh is the Vice President of Asset Protection and Risk Management at Bloomingdale’s, one of the largest retailers in the US. In fact, its headquarters in New York City has been ranked as a top tourist attraction. Of course, that doesn’t make his job any easier. McIntosh and his team work around the clock to make sure their retail associates know how to deal with any security threats, so that their customers don’t have to. He’s not worried though. Bloomingdale’s has transformed the way it delivers safety training to its 10,000 associates with tremendous success. He’s reduced claims by 41% and saved $10 million in safety claims. When I sat down with McIntosh, he was kind enough to share some tips. That’s why McIntosh decided to challenge the company’s status-quo training methods. He did this by focusing on his biggest asset: employee knowledge. In case you hadn’t noticed, Bloomingdale’s is huge. It has 36 locations throughout the US. To say that—delivering consistent training and information across all locations and departments, and ensuring each retail associate understands and retains all of the policies and procedures is a difficult task—would be an understatement. But the reality is, these are challenges large retailers are up against today. So how do you prepare your retail associates for security threats? You can try the standard approach: print out awareness posters, hand out guides and best-practice materials, introduce weekly meetings, or even provide hands-on classroom training. But, if at the end of the day, your associates are forgetting what they learned and are unable to recall key information when the times comes, what’s the point? 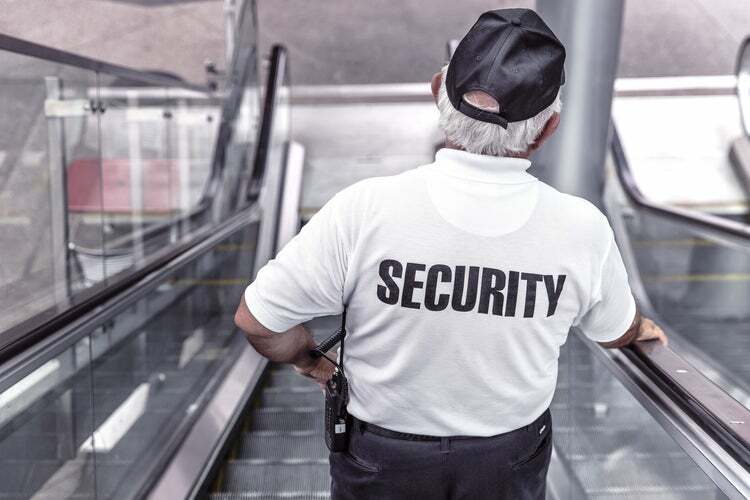 Safety procedures and security training aren’t things you institute to simply check off a box, they’re integral to the success of your business. One slip up can cost you millions. Although Bloomingdale’s already had a low rate of safety incidents, McIntosh isn’t the type of person who’s satisfied with simply meeting expectations—no matter how high the company’s safety standards. He knew there was an opportunity to set the bar even higher by improving the knowledge of his retail associates. To develop a best-in-class strategy and content, take pointers from those who deal with crime for a living. McIntosh leverages the Federal Bureau of Investigation (FBI), New York Police Department (NYPD), Environmental Health & Safety (EHS), and Department of Homeland Security for the best content and tips. “With our active shooter drill in our flagship store here in Manhattan, we built a program and a process. We sat down with the NYPD and the FBI and took them through our environment and asked for suggestions,” explains McIntosh. “They gave us good advice and made observations to enhance our strategy and training going forward.” McIntosh suggests keeping up to date with the latest information, and changing your overall strategy based on what terrorists are doing and other security-related trends. “There’s a lot of misinformation you have to wade through. Everybody has a cellphone with a camera in it—everybody’s a reporter today,” explains McIntosh. With that said, monitoring social media websites is very important. “We pay attention to every time a message mentions Bloomingdale’s.” If a trend is identified, targeted training is pushed out to retail associates to establish and reinforce how to react to various threats. Even if you have the best content and the right strategies, it doesn’t mean much if your retail associates forget everything as soon as they walk out the door—or, even more concerning—if they’re unable to receive and remember critical information at zero hour. I saw firsthand how our employee knowledge platform helped send out communications and appropriate training to the frontline, when I flew down to New York City to meet with Bloomingdale’s. This happened in the wake of the ISIS attack on Paris, where the terrorist group had made a threat against New York City’s Times Square. Being a New York icon, this was the utmost priority for Bloomindale’s. Axonify was used as the primary channel to communicate crucial information to all store associates. This helped calm their fears and equip them with the right knowledge of what to do since the platform allowed McIntosh to choose which content should be prioritized and seen first. Interested in learning more about how an employee knowledge platform could help save you millions? Send me an email or complete this form to get in touch.